After a month home with my newborn, I have barely taken the time for even brushing out my hair, let alone any extra pampering. So when I received this face mask sample from my dear friend Whitney, I went ahead and took some time to enjoy a nice shower and a face mask while the baby was napping. The “I’m Turning Blueberry” face mask smelled great as soon as I opened it. I was surprised it did not come out more blue, but it makes perfect sense (because the products are natural) that it would not be that color often associated with other blueberry flavored products. The little speck things are blueberry seeds, great for exfoliating. I don’t know about you, but when I don’t know what the chunks are in an exfoliating product, I’m a little wary about what I’m about to sand my face with. After just a couple minutes I could feel the mask gently sucking out the nastiness. I like that it isn’t extreme and uncomfortable. This mask was easy to wash off and felt great. 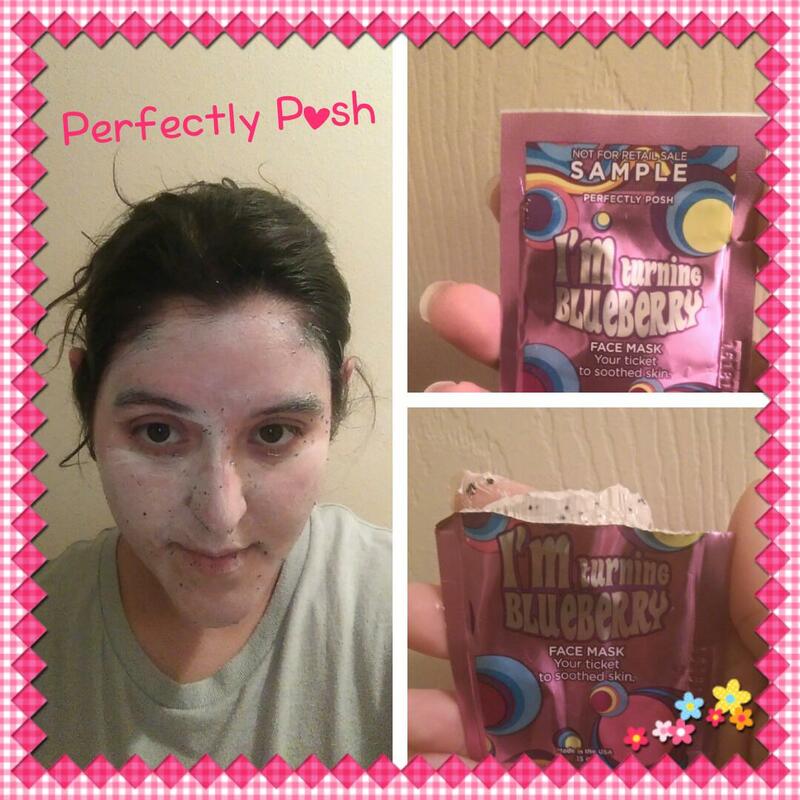 I follow up my skin care regimen with Perfectly Posh’s Night and Day moisturizer. I love this moisturizer because it’s not greasy and only takes a small amount. Just one more great thing about Posh products, a little goes a long way.